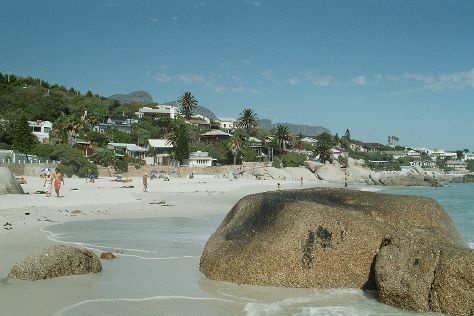 We've included these beaches for you: Clifton Beaches and Fish Hoek Beach. The Franschhoek Motor Museum and Fairview Wine and Cheese are good opportunities to explore the local culture. Take a break from Cape Town with a short trip to Boschendal Manor & Winery in Franschhoek, about 1h 05 min away. On the 5th (Fri), enjoy an adventurous day among the treetops at some of the top local zipline courses and adventure parks. The adventure continues: tour the pleasant surroundings at Bloubergstrand Beach, enjoy the sand and surf at Scarborough Beach, see the interesting displays at District Six Museum, and do a tasting at Klein Constantia. To see maps and tourist information, read our Cape Town itinerary builder. Montreal, Canada to Cape Town is an approximately 23.5-hour flight. Due to the time zone difference, you'll lose 7 hours traveling from Montreal to Cape Town. Prepare for much hotter weather when traveling from Montreal in January: high temperatures in Cape Town hover around 32°C and lows are around 20°C. Wrap up your sightseeing on the 7th (Sun) to allow time to travel to Oudtshoorn. Step out of the city life by going to Safari Ostrich Show Farm and Highgate Ostrich Show Farm. Get a sense of the local culture at Bartolomeu Dias Museum Complex and Outeniqua Transport Museum. Explore the numerous day-trip ideas around Oudtshoorn: George (Montagu Pass Old Toll House & Safaris), Santos beach (in Mossel Bay) and Wilderness Beach (in Wilderness). Next up on the itinerary: take a memorable drive along Swartberg Pass and relax in the rural setting at Cango Ostrich Show Farm. For photos, other places to visit, ratings, and other tourist information, read our Oudtshoorn trip itinerary builder. You can do a combination of flight and bus from Cape Town to Oudtshoorn in 4.5 hours. Other options are to drive; or do a combination of bus and taxi. Finish your sightseeing early on the 11th (Thu) to allow enough time to drive to Plettenberg Bay. Get outdoors at Garden Route (Tsitsikamma, Knysna, Wilderness) National Park and Elephant Sanctuary. 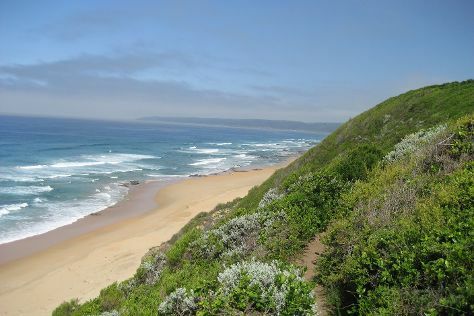 Discover out-of-the-way places like Brenton on Sea and Buffalo Bay. Explore the numerous day-trip ideas around Plettenberg Bay: Adrenaline & Extreme Tours (in Tsitsikamma National Park), Knysna (Featherbed Nature Reserve & Speed Boats Tours) and Noetzie (in Noetzie). There's lots more to do: stroll through Jukani Wildlife Sanctuary, browse the fresh offerings at Elephant Walk Farm Stall, and contemplate the waterfront views at Knysna Lagoon. To see maps, other places to visit, traveler tips, and tourist information, read Plettenberg Bay itinerary builder. Traveling by car from Oudtshoorn to Plettenberg Bay takes 2.5 hours. Alternatively, you can take a bus. In January in Plettenberg Bay, expect temperatures between 29°C during the day and 20°C at night. Cap off your sightseeing on the 17th (Wed) early enough to travel to Hermanus. 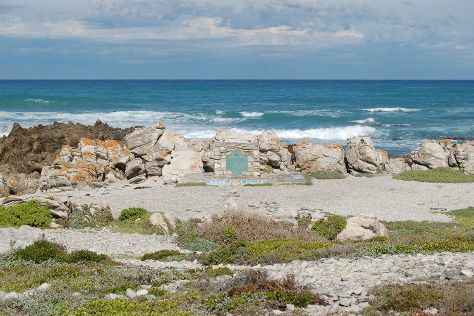 Your itinerary includes some good beach time at Grotto Beach and Pringle Bay Beach. Eschew the tourist crowds and head to Cape Agulhas - Southernmost Tip of Africa and Stony Point Penguin Colony. Go for a jaunt from Hermanus to Cape Agulhas to see Cape Agulhas Lighthouse about 1h 35 min away. It doesn't end there: kick back and relax at Voelklip Beach and stroll through Panthera Africa - Big Cat Sanctuary. To see reviews, more things to do, where to stay, and tourist information, use the Hermanus holiday planner. Getting from Plettenberg Bay to Hermanus by combination of flight and taxi takes about 3 hours. Other options: drive; or do a combination of bus and taxi. In January, plan for daily highs up to 32°C, and evening lows to 20°C. Finish up your sightseeing early on the 20th (Sat) so you can travel back home.